This edition of Golf Car News highlights the industrial and turf vehicle side of our industry. Moving beyond the standard golf car, turf/utility vehicles are designed to tow loads, move people and carry materials. They are used in all kinds of industries: from airports to hotels and resorts to the government. We’ve taken the leaders in this industry and compiled the Annual Industrial/Turf Vehicle Guide. This will give you the information you need to source the right type of vehicles for your customers. At Golf Car News, we are always looking for interesting information about our industry to share with you. This issue, we are excited to bring you an inside look at Golf In China, in our Internationally Speaking column. Read about the interesting facets of how golf is perceived on the other side of the world. Up next… the Annual Golf Car Guide. We’ll take a look at traditional golf cars and what the market has to offer. We hope this updated guide aids as an invaluable resource for you and your business. Take your time and absorb all the information this edition has to offer. 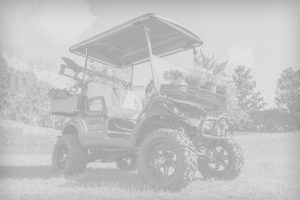 We want to make Golf Car News your go-to resource for information, new products, and accessories! Be sure to follow us on Facebook @GolfCarNews! Welcome to the Annual Golf Car Guide!